Why take counselling sessions? – Wednesday Why? Wednesday’s Why? Why take counselling? Why indeed! Because you don’t need to do it all by yourself. My previous job was in corporate. During one of the coffee break, I met a colleague in the pantry and he started sharing his life situations. Even then in one conversation, it was very clear to me that he and his wife both needed help. A few years later when I started IADLife. I sent him an email about my IADLife job profile and suggested him to take healing sessions. To that, he replied, “Thanks for the information regarding your new venture. I am sorry this one is not for me. I am into an age group where if I cannot manage my life’s challenges, then it would be a shame! I am at peace with myself. Thanks, but no thanks. Best of luck with your new venture.” When suggested to take help does not imply that you unable. It only means that you are fortunate enough to attract and receive the help that is right for you. This is a form of delegation. This is a service that is provided to you for you. I have great regards for people who take that step. Counsellors are teachers who will understand from your energy, behaviour and your own verbal admittance of your life situation. The counsellor will then share with you the knowledge that will help change that. If you think you are stuck or if you see yourself doing just fine, in both conditions the counsellors act as a light bearer to show you the path to enhance your life. Having the counsellor that is right or best for you is the matter of great honor and privilege. Many have been existing with the thinking that taking help is for the weak. That thinking is now ingrained so deep within the consciousness that it has gotten transformed into a belief. A rule that they believe in and cannot defy. Regardless of how dire their situation, they try to use the methods of the strong-armed people whom they have seen as a success and emulate a solution of your consideration. You certainly mean well. It might even seem to work sometimes but there are going to be backlashes and the situation gets worse. At other times it keeps you trapped in the same situation. Not taking support is not brave. Counselling is a healing solution for you to change or enhance something in your life. It is a non-judgemental space. In this space, you can give yourself permission to get clear about what you are actually going through. The real picture of what is really happening in your space. This is a safe space where you allow yourself to see the blame, the mistakes, the errors, the faults, and the blunders of your own self and that of others without prejudice. All this under the expert and unbiased supervision of a counsellor. You are not meant to be in pain or confusion, nor are you supposed to merely survive while you are here on the planet. You are meant to thrive. To further help you get comfortable with counselling, let us understand counselling and its aspects. Difference between counselling and life coaching. Counselling is independent sessions. They can be one or more than one. They can be with the same counsellor or a different one. Life coaching is a set of sessions booked with the same coach/counsellor based on their guidance. Both are useful. Counselling gives you a choice on the number of sessions and the counsellor. Life coaching allows you to observe the healing trajectory with help from the same counsellor who has been with you through your healing journey. Counsellors counsel that is they advise, guide, direct, recommend what is in your benefit. They sometimes use healing techniques like tapping, mirror-work, hypnotherapy and/or energy healing that what will support in solving, will bring you at ease, make you comfortable, happy, safe and/or prosperous. Counsellors are meant to be on your side. When you get that, the interaction is in alignment in terms of delayering, information sharing in quota & type, language, and connection. You will feel light, calm and good after each session. Till you find the alignment you will find it challenging, frustrating and uncomfortable as it is pushing you out of your core beliefs. Taking the counselling requires a very important ingredient and that is ‘your willingness.’ Interestingly the willingness of the counsellor to accept you as a client is also important. Which is a counsellor for you? When you decide to take help and support to solve your life situation, you get suggestions, recommendations, or you do your own search through various databases and search engines. You jot down the contact details of the counsellors. You sort out the counsellor that you wish to contact according to their expertise and testimonials. You see which one aligns with you and your needs the most. You fix an appointment and you take a session. If for any reason you see yourself feeling unsafe, humiliated, repressed, controlled or misguided, you can decide not to go for the next session or you can even choose to walk out. Get clear about what you did not like about the session. Sincere advice is that you do not stop your healing. Look for another counsellor. Cost, time invested and transportation are important. However, it is a kind request that you ask and go for the counsellor that is best for you. Self-booking a session works as much as being booked by others. Once the session is booked you need to turn up. We had a client who booked life coaching for her brother as life coaching as a gift. You can decide to sponsor session or sessions for others or ask for sponsors. Before you decide or refuse, you require the following information about COUNSELLING. What is counselling? Why take counselling? Why is counselling important? Do that work or even for that you can take help from a counsellor. Your healing is your responsibility. You may choose to take it now or move the decision to a later date. My suggestion is you start today. The counsellor’s responsibility is to turn up, be there for you and give you the solutions from their best knowledge base. Somtimes counsellor may refer you to other counsellors for their reasons like they could be going on a holiday, they need expertise of another counsellor or they are not comfortable. Choice again is yours to agree to take sessions with the new counsellor. Professional Counselling is a service provided by the healing industry. It requires resource investments. Time, money, energy and willingness. Counselling is completely confidential. Some counsellors tape or make notes of the conversation to write the case studies for records or for research purposes. This happens after they take consent from the client. Counsellors are not allowed to discuss case studies in public and they won’t. They are NOT gossip mongers. Regardless of what treatment or healing process you decide to accept, the only way to establish faith in the process is by knowing about the what, when, why of the situation and then taking the continual action suggested. It has been found to be most effective. However, if you have enough faith and understanding of what you are following then, you can directly go for the processes. My own reality was as follows. I had been attending some workshops that were meant to make sense of the misses and losses in my life. I lost my right arm in a road traffic accident, I failed my exam that was meant to give a career after being an amputee, I lost my parents one after another then, I was laid off from a job that was supporting me in having grace and security in my life. I was doing all that I had gotten habitual doing. Hide and avoid/dodge people, blame and complain to myself and to the people who were in my space. I was stressed all the time and it was affecting my appearance, performances, and interactions. I was doing my best to hide it. I put on weight, had frequent migraines and was crying and was angry all the time. Upon that when someone or anyone pointed out that I looked stressed or tensed that, would trigger another level of anger on my inability to cover my problems in my life. One mid-day a friend also neighbour called me in the office where I was working as a Bioinformatics scientist and requested me to do a background research on a counsellor. She suggested that if she wanted I could book the session for her. I did my bit and while I dialed the number of the counsellor I said to myself, ‘I need help too.’ When the counsellor picked up the call I booked for two sessions, one was for me. Taking that step hugely mattered. I gradually trusted myself sharing my information with an expert and developed my willingness to hear that expert. All the healing work that I was doing had now started to make sense. 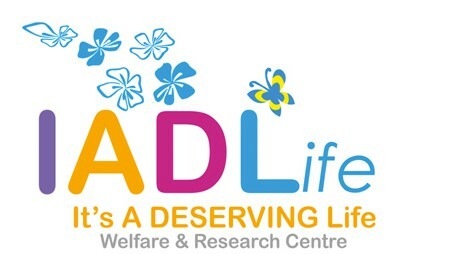 A few years later I started IADLife. Today I am myself a trained life coach. Through my company, I decided to connect and collaborate with other counsellors and life coaches from all over India to bring to you the healing solutions that are best suited for you. I highly recommend counselling sessions for all. Even when you think you have reached the edge of the planet and there is no way forward or if you think you are doing great, take counselling. You will be surprised how much you can achieve through comprehensive speaking and listing. The more you are open and you allow yourself, the quicker you will reach the next step, which is more creativity, productivity, health, and happiness. Counselling is meant for the development of confident self-reliance and not fearful or insecure dependencies. This entry was posted in Uncategorized on July 24, 2018 by IAD Life. What’s in a term? – Nepotism. What is in a term? NepotismCase Study: Client: “Some people in my workplace look down on nepotism? I got my job on a recommendation. I just take it as if they are commenting on me. Maybe they are maybe they are not, but I feel low when I don’t have anything to contribute to this topic. How do I make myself feel better? I really need this job.”Counsellor: Get clear about what does this term mean for you. Clearly, the meaning of the term that you have adapted from others is in the same lines as your colleagues you are mentioning. These others are your caregivers, your friends or teachers that you trusted. Now create your own meaning. You have been told some points about ‘nepotism’. It goes against the stringent thinking connected to ‘earning what you receive.’ Until you get clear with your definition, be open to hearing new definitions from others. Here is my personal definition and viewpoint of the term or the action called ‘nepotism.’I am personally a big fan of ‘nepotism.’ According to my personal understanding ‘nepotism’ is defined as a recommendation for someone, based on who you want to extend the support or help. I believe it is not meant to climb the stairs or walk all the way to the top. There is no need to reinvent the wheel. Taking the elevator or an escalator is the help or an opportunity. Accepting the opportunity and doing your bit to contribute at a level that you need to contribute is your responsibility. Once you have the opportunity to reach till a certain place on your way to the top, from there surviving, excelling, and your productivity is on you. If you have the opportunity to be at a certain level and you accept that but, you have fear or guilt thoughts regarding the acceptance of the opportunity then, you may not fair/do well or do justice with the opportunity provided and you may lose the opportunity. Any company, business, project or task to move forward successfully it requires to be productive. For that, it requires productive people to be involved in it. That is right or even the best people for it. If you have been chosen, you must be the right fit in the final tapestry/picture.If an opportunity has been presented to you that means you are ready for it. You contemplating its social ethics and second-guessing is you showing self-doubt and this is complete lack of gratitude.When you show doubt in your readiness or preparedness to receive what comes with accepting of the opportunity, it is then that you receive the bad appraisals, jealous comments or adverse comments regarding you or of cases similar to you. These are a reflection of your thinking. If according to you, you are failing or not good enough for the job then, it only means that your energy, focus, care, and attention is more on others.It is time to bring that energy, focus, care, and attention to you. Do what you have accepted the opportunity to do. Stop looking for approval from anyone else. First, give all that approval that you are seeking to your achievement of receiving the opportunity and to the opportunity itself. This you can do by celebrating and by working hard and smart to prove yourself in the job. Understanding what the hirer goes through with nepotism could also help. So, now what about people who have been thrust into a situation where they HAVE to hire someone through recommendation or because of nepotism? Sa a hirer, if you are open to giving them a chance to see how they perform in the job or if you have had good experiences attracting the right resources then, you would just look forward to their contribution. If you are not aligned with the decision and it is a forceful one then it will require a lot of evidence for you to be convinced that the person hired is the right choice. If you are certain that this person who has come through nepotism is not the right choice then, find out whether this opinion of yours is ‘job-oriented’ or ‘person oriented.’ If you care about the job that needs to get done then, shift the energy, focus, care, and attention to all that is getting done. If the good/important chunk of work still needs to be done then if you can, hire another person to do the rest. If your lack of acceptability is ‘person oriented’ then, find out what about the person do you not like. It is the characteristics within you that you need or you wish to change. So work on that. Get comfortable and get the work done. With all this knowledge about nepotism, both parties and from both sides, get to work. Be it a network, pull, connections, or inheritance, it is all yours. Allow this help. Give permission for these opportunities to enter your space. What happens next, how do you manage, and how you express your creative ideas is entirely up to you. Aim to do well there and go above that. This entry was posted in Uncategorized on July 22, 2018 by IAD Life. IADLife ‘Great Minds Group’ WhatsApp Activity. Start Date: August 1st, 2018. Duration: 1 Month. August workshop has been divided into two groups. Group A: topics covered are Gratitude. This group will have 28 days + 3 days of exercises and instructions of the ‘The Magic’ Practice based on the book with the same name. Group A will be guided with the Gratitude practice only. How to carry out the exercise and all the questions pertaining to the Gratitude exercise is going to be addressed. The cost is INR/Rs 1500/-. Group B: topics Covered are Gratitude and Prosperity. This group will have 28 days + 3 days of exercises and instructions of the ‘The Magic’ Practice based on the book with the same name by Rhonda Bryne. Along with that, there is an additional topic of Prosperity that will be integrated in the 1-month practice and the group members will be counseled where ever requested. Gratitude: members of group B will be guided with the Gratitude practice. How to carry out the exercise and all the questions pertaining to the Gratitude exercise is going to be addressed. Prosperity: Members of group B will also be given an online course on prosperity. What is prosperity? Do you think you have enough of the prosperity? Recognising and removing prosperity blockages. Understanding the true meaning of prosperity. Counseling will be given on life situations with solutions encompassing gratitude and prosperity. In case the solutions are other than these two topics then, a personal one on one sessions will be suggested. The cost is INR/Rs 3000/-. Upon that, your name will be added in the IADlife GMG group. For details please write to us at WhatsApp number +919886077034, Call us at landline +91 80 42188074. This entry was posted in Uncategorized on July 18, 2018 by IAD Life. Why does un-forgiveness persist? – Wednesday Why? Some forgiveness happens immediately. Some happen a little later. In rest of the cases or situations, un-forgiveness prevails seemingly forever. What are the circumstances, situations or conditions because of which you are able to forgive? In absence of these, the forgiveness does not happen. Is it your likeness for the person, thing or situation? Is the likeness for an attribute or characteristics like beauty, speech, gesture? This could be of the person who is relative, lover, spouse, friend, acquaintance or even a stranger. Is it that you see it as having no other choice? Is it the job you need, indispensable relationship, social obligation or fear of missing out? If it is any of these reasons then you are not really forgiving. You are ‘shoving under the rug.’ Next time ‘the hurt’ or something similar to ‘the hurt’ cross your path all the unresolved un-forgiveness accumulates and surfaces. When forgiveness does not happen immediately you tend to subject yourself to live and re-live the hurtful life situations again and again, in order to have an opportunity to prove yourself, perform, react, and to respond better. When un-forgiveness persists for long it becomes a habit. Each un-forgiven life situation remains with you. It eventually and very seamlessly becomes a part of your behaviour and expression. Anger, irritation, and frustration that you feel for something minuscule is the piled up un-forgiveness. It can be for someone you like/love or for a complete stranger. *Un-forgiveness keeps you from moving forward. *Un-forgiveness keeps you from manifesting your desires and is responsible for manifesting what you don’t desire. That is because you are first and foremost unclear about what you want. Un-forgiveness is responsible for that and so you miscommunicate what you want. *Un-forgiveness keeps you from forming a connection with your inner-self, higher-self, and other high vibrational entities- God, Angels, Source, Universe, Life. Un-forgiveness thus is responsible for misinterpreting the communication that you receive. All the past data stored in you, that includes the data on un-forgiveness, determine your present and future life experiences. All the past un-forgiveness define your reaction in the present and this keeps you stuck in past. To free yourself of the past hurt(s) you need to clearly and truly forgive. For that, you need to have a clear understanding of forgiveness. What is ‘forgiveness’ for you? How does ‘forgiveness’ look like to you? ‘Forgiveness’ has to be about you. It cannot be with something that happens with someone other than you. Because if it is to do with something that happens with anyone else, it may bring transitional relief but ultimately there is no benefit for you in the long run. However, the present is your responsibility and you need to keep yourself from attracting such situations that are liable to cause un-forgiveness, in your life. You have to be mindful of recognising all the un-forgiveness, however subtle they are and work on releasing them. How do you know that you have forgiven? When you notice your anger, irritation and frustration level coming down. When you can laugh at the life-situation that would have otherwise offended and enraged you. When you are calm, indifferent or non-reactant towards the same life-situation that had earlier triggered a reaction that was not fun. Actual permanent forgiveness happens when you are willing to find out what is it about the hurt that you are actually supposed to forgive and who is it that you are supposed to truly forgive? Invariably, every analysis and every de-layering will take you or point you to your own self. It will point you to something within you that you wish to change. Something in your life that you have yet to achieve. Something as in an action that you wish you had done differently. Recognising that is the initiation of the forgiveness. Taking that action for which you are holding un-forgiveness towards yourself or an alternate action is what will get you that forgiveness. Case Studies that explain how forgiveness was implemented. “C was taking out her trash. She wanted to convey to the person in charge of collecting the garbage, that there were sharp edges in the cardboard she was disposing of. She said what she could, using her acquired knowledge of the local language. The guy replied saying something that she understood was impolite. Whether he said it in his way of being friendly or was being plain rude, C replied by giving a smile and slightly thrusting her tongue out expressing her incapability to reply. Her reaction was to get the work done. Do remember forgiveness is not justifying what does not seem right. Forgiveness is making way for greatest and highest in everything that you deserve. Because it is a deserving life. Forgiveness can also be pending when you see the need to ask for forgiveness from someone other than yourself. Un-forgiveness persists when you see yourself having done wrong. Here recognising that you could have done something differently or what you could do differently is expedited, as the focus on self-comes sooner. Case Study: “J took his mother to a dentist. Everyone from the receptionist to the dentist was very polite the clinic was very hi-tech. The dentist when attending to his mother was very chatty and J could see that the dentist’s techniques were making his mother very uncomfortable. J continued to reply to the chat keeping one eye on his mother. He did not stop the doctor or ask his mother if she wanted the procedure to continue. After the clinic visit, J’s mother complained that her lower gums were numb and she was uncomfortable. J felt guilty of not speaking up on behalf of his mother and not stopping the dentist who was conversing too much during the procedure. The depth and magnanimity of the hurt are not proportional to the time it takes for the un-forgiveness to convert to forgiveness. It is your willingness to get to the action that you need to acknowledge and take, that determines how soon the un-forgiveness dissipates. Harboring un-forgiveness till the other person can say ‘sorry’ may not get you to the forgiveness state. You need to be in the forgiveness state to receive it. That depends on how much you are willing to solve the matter. This also applies to where you see the need to apologise and have been waiting for the approval that follows. Recognising, acknowledging and willing to or possibly actually taking action by you is the only way. This entry was posted in Uncategorized on July 3, 2018 by IAD Life.